Now I'm not a big fan of sugar cookies...but occasionally some catch my fancy. 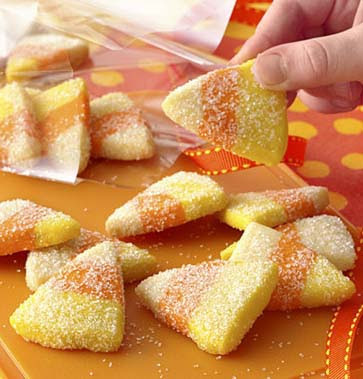 These are on my list of MUST MAKE...and mainly because I'm a huge candy corn fan! Check out the LandOLakes website for a step by step (with photos) explanation of how to make these very SWEET cookies. Land O Lakes Ingredient List (keep in mind these must be good if they're made with BUTTER)!